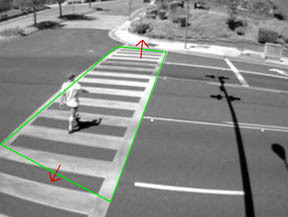 WTI's latest innovation, the J-5 Pedestrian Sensor, is the intelligent solution for controlling pedestrian traffic flow and maintaining their safety. The J-5 provides a unique solution to the often competing demands of safeguarding pedestrians while improving traffic flow, increasing fuel efficiency and reducing pollution. Real time stereo vision allows the J-5 to detect objects in the sensor's field of view while ignoring confusing artifacts, such as shadows, reflections, water, snow or debris on the ground, etc. The J-5 has unparalleled detection accuracy and false alarm rates. All-in-one, above-ground, camera and detector system. Seamless integration into existing traffic sensor installations. Quick and simple to install at new locations. 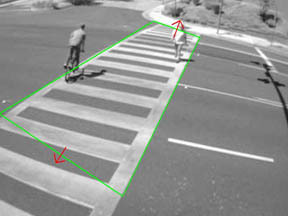 High-accuracy detection of pedestrians crossing and waiting to cross a road. Housing is weatherproof, providing exceptional performance in all climates and is unaffected by fog, rain or snow. Cost-effective solution for pedestrian traffic and surveillance. Quick and easy to install and configure.